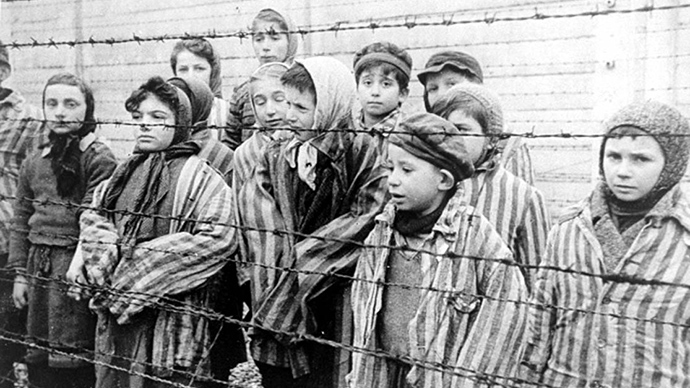 Nowhere else were Nazi atrocities as evident as in the death camps, where thousands of human beings became “live material.” RT interviewed people, who were no stranger to these realities – both liberators and those from behind barbed wire. Seventy years have passed since the liberation of Auschwitz concentration camp in Poland where over a million people died, setting the date for the Holocaust commemoration. Yet, all the recognized Auschwitz horrors, hidden behind the slogan “Arbeit macht Frei” (“Work makes free”) – soul-sucking slave labor, cruel medical experiments and gas chambers – weren’t the only means of torturing those whom the Nazis deemed inferior. Ozarichy concentration camp in Belarus had people from various Slavic nationalities collected behind barbed wire in a closed forest area. Its less known story has been told by one of its liberators, WWII veteran Irina Gryzova who is now 87 years old. Soviet reconnaissance groups found its “unspeakable horror” by accident in the winter of 1944. As many as 33,000 people were lying on the frozen ground deliberately infected with typhus, she says. The Nazis used the civil population as a hook to spread the disease to the enemy army. And people, who were kept in many other concentration camps in striped robes with their names erased and substituted by numbers, had to remain strong and hopeful inside in order to survive. “Twice I was beaten up, twice I was sentenced to death. The tortures I endured were operations without anesthesia. It was common practice there,” said Eduard Zimovets – survivor of Sachsenhausen concentration camp in northeast Germany. He was sent to the camp at the age of 15, lost nearly all his teeth, but upon being freed he “literally on the second day” joined a tank brigade that liberated the prisoners. Later, the largest concentration camp complex, in Poland, became a museum that conducts research in the Holocaust, the genocide of 6 million Jews by the Nazi regime.